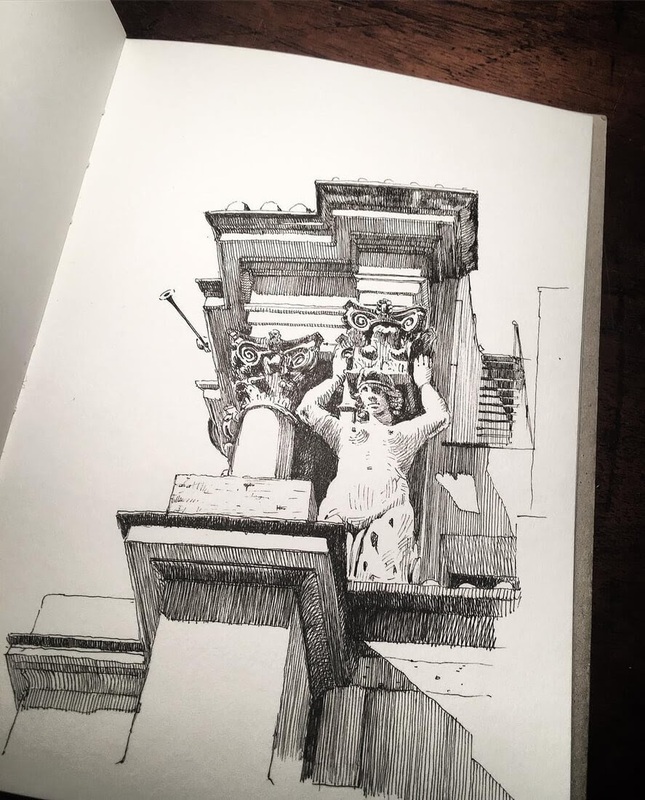 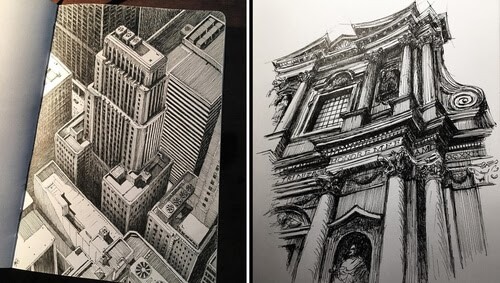 Black and white drawings that explore different types of architecture, in different styles, from a variety of different angles. 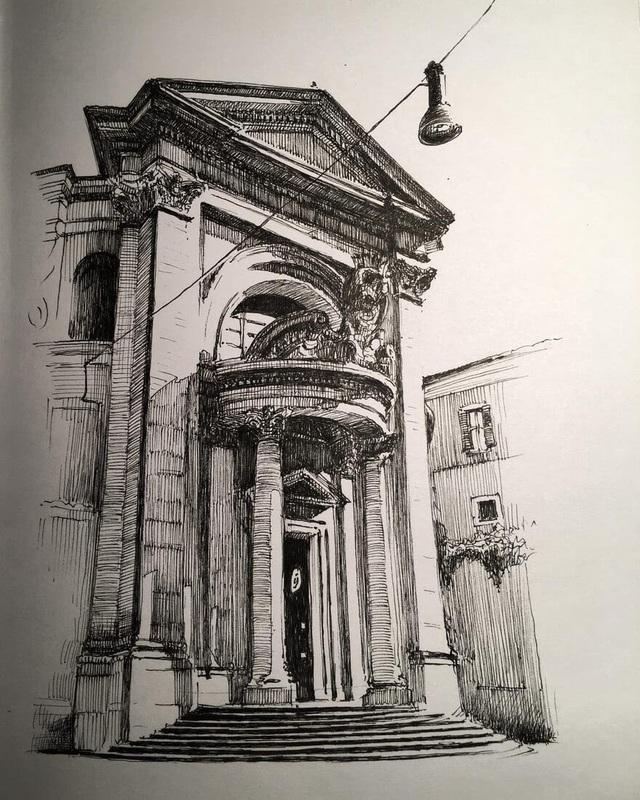 I really like Mark Poulier introduction to himself, so I will let his words carry you through the next portion: "I draw architecture. 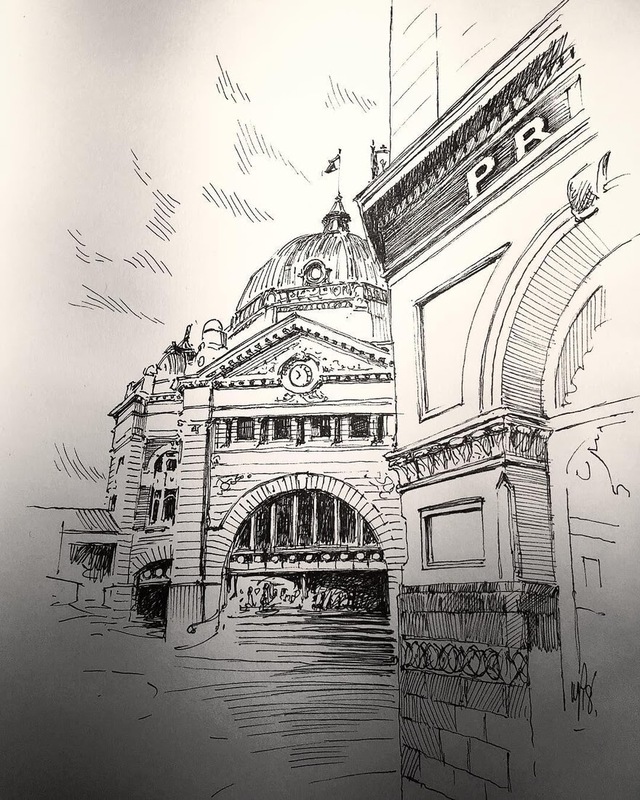 I mostly draw balancing a sketchbook on my lap during my morning tram ride through Melbourne, on site or in a café. 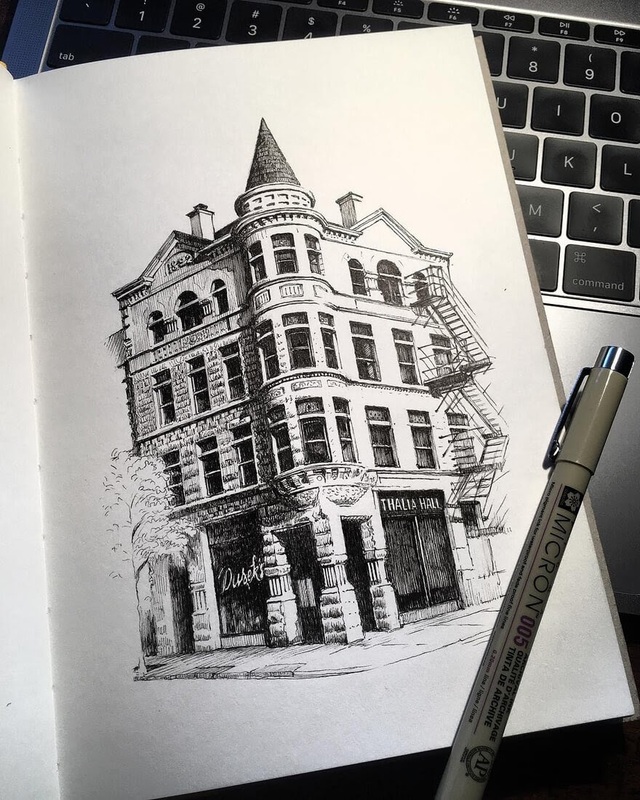 I'm an Art Director and pen and ink sketcher living in Melbourne, Australia." 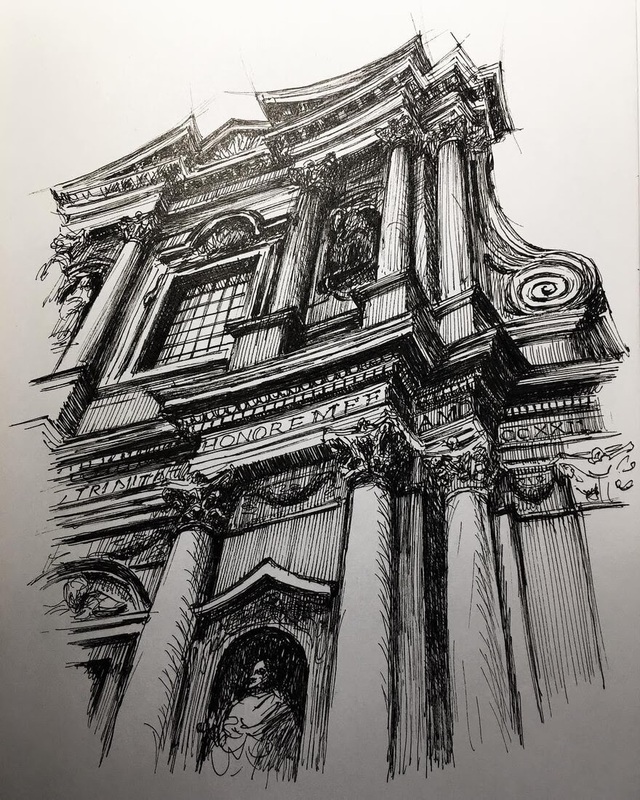 As well as creating art, he teaches as well, which is a great way of passing on the lessons and tricks he has learnt, to a new generation of artists. 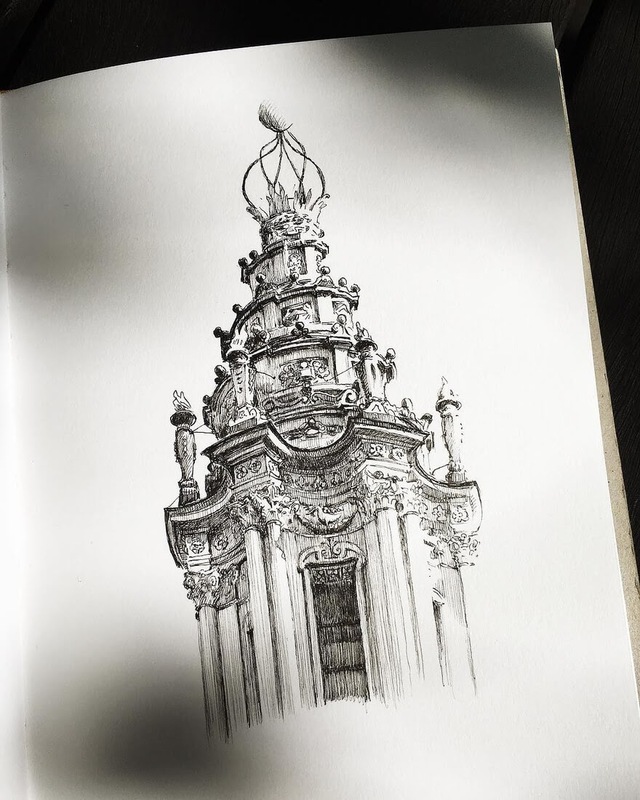 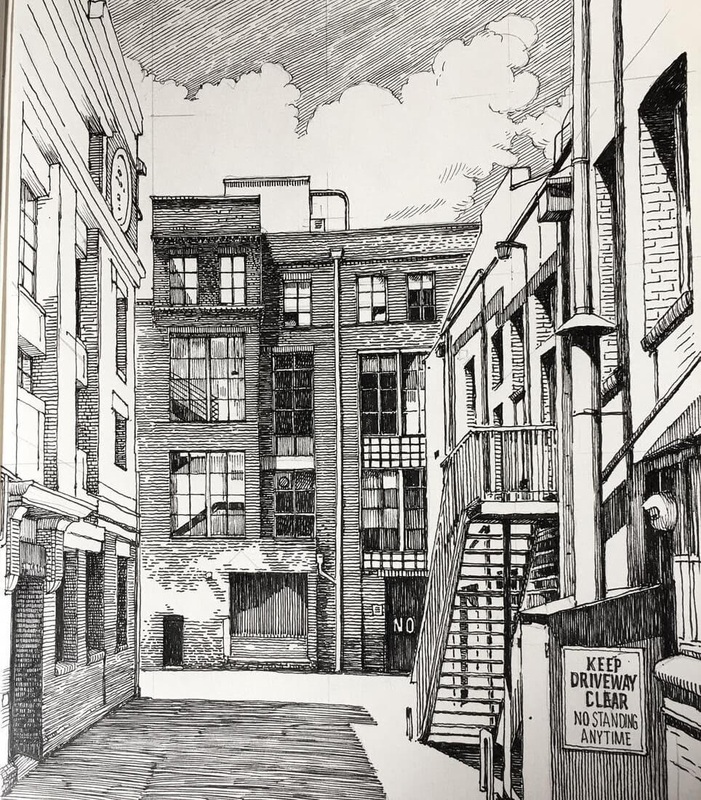 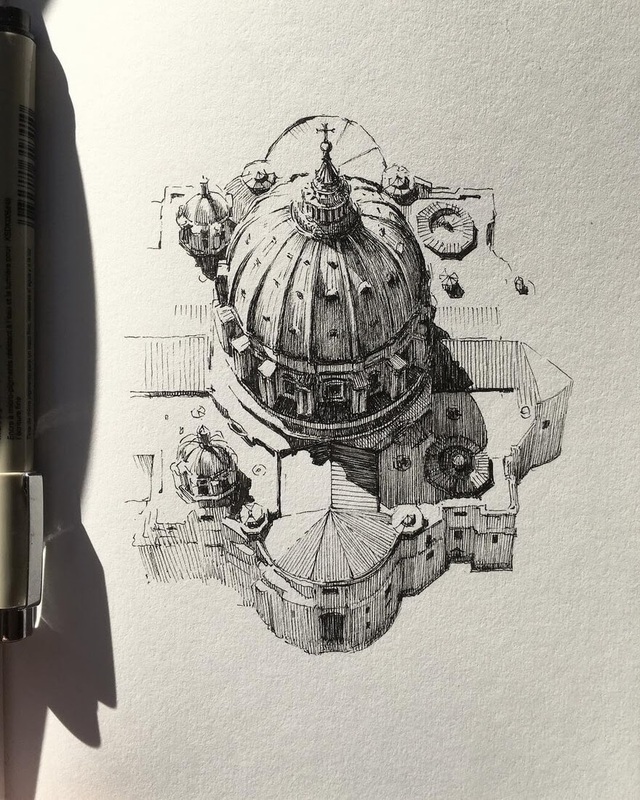 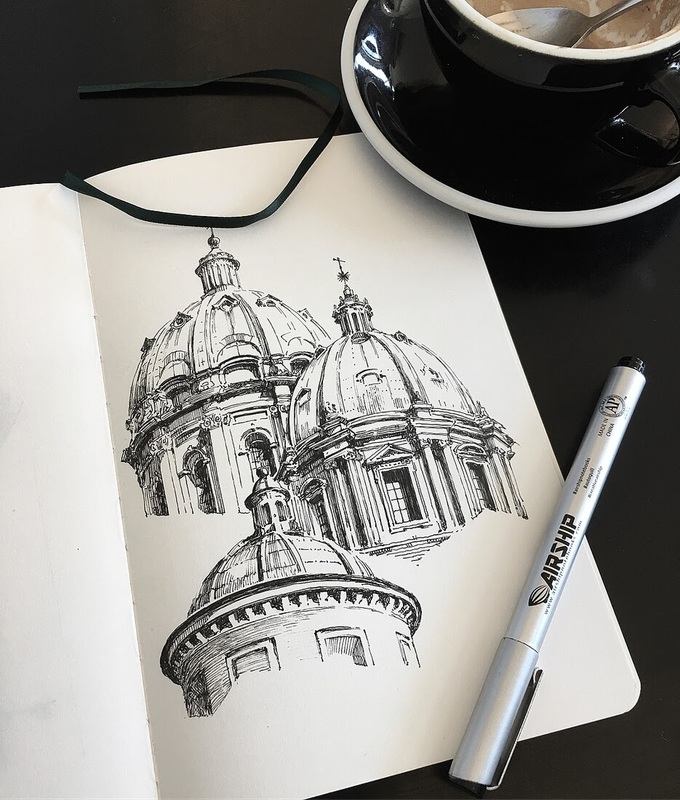 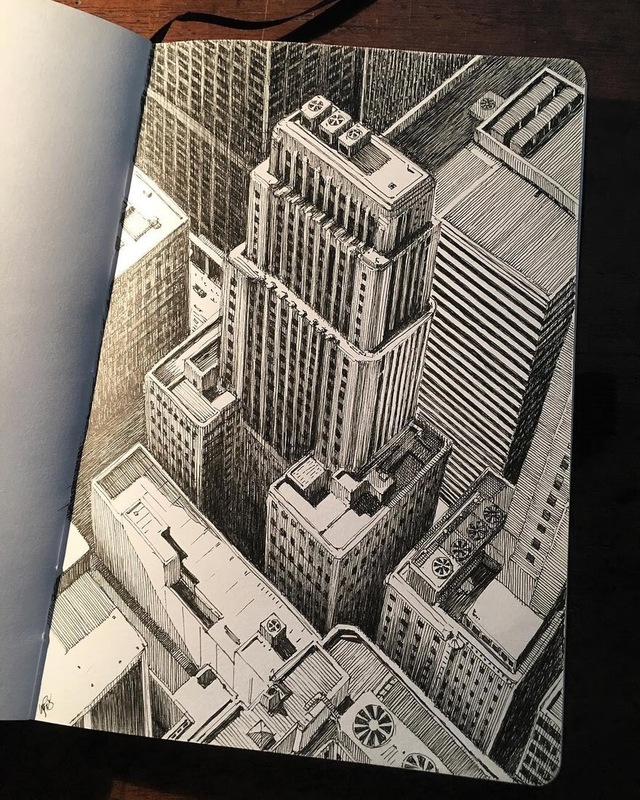 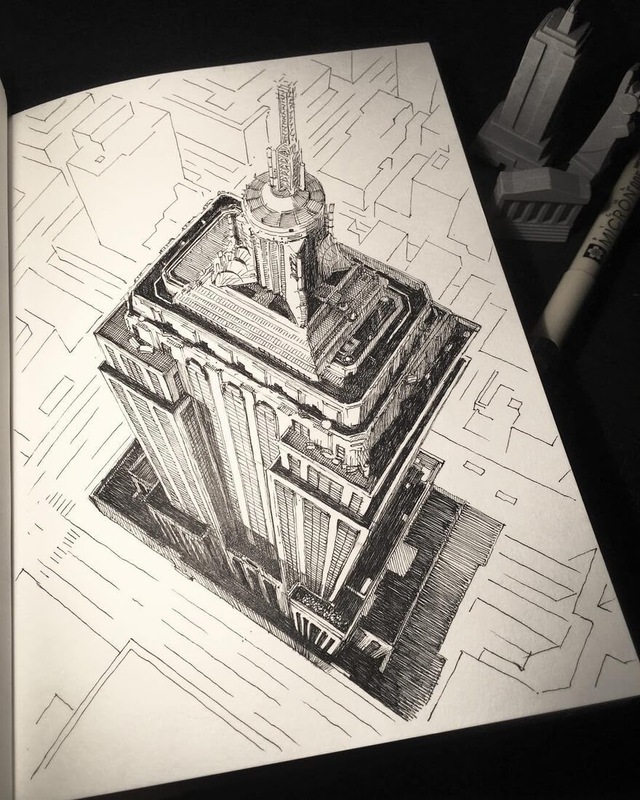 These drawings present us with a beautiful way of showing off the special sites and buildings in the cities we live in, or the countries we travel to. 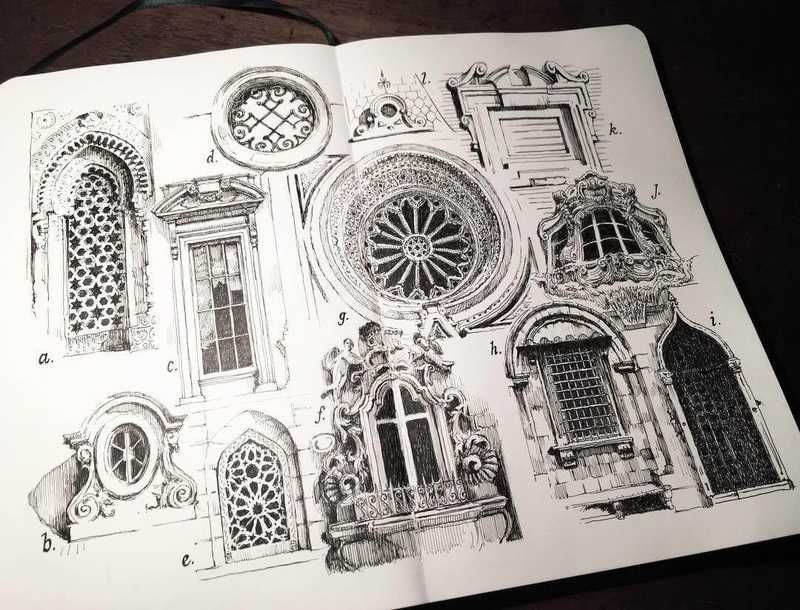 Windows from New York, Buenos Aries, Melbourne, London, Copenhagen, Paris, Delhi, Montepulciano, Florence, Rome, Cairo, Venice. 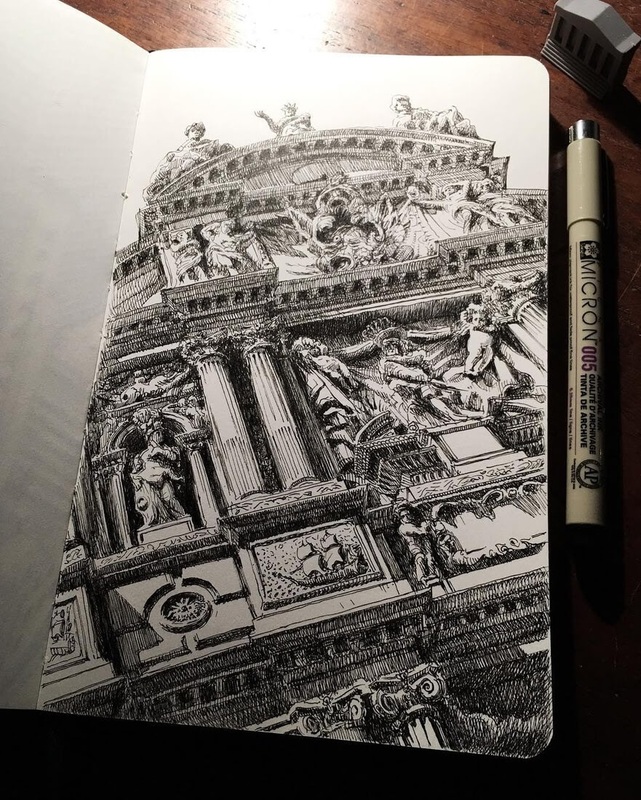 Santi Vincenzo e Anastasio a Trevi.